Cape Cod, Mass – The Turkey Brigade, which is part of a Thanksgiving drive sponsored by Community Action Committee in Hyannis, has been operating for several years and its goal is to help families who cannot afford to a put a special dinner on their table during the Thanksgiving holidays. A continuation of the expanded playoff format and 10 seven-inning doubleheaders highlight the 2011 Cape Cod Baseball League schedule. Paul Logan and Jim McGonigle will receive two prestigious awards before the 2010 Cape Cod Baseball League Hall of Fame Induction ceremony on Saturday at the Chatham Bars Inn. CHATHAM ---- Ten new members shared memories of their magical Cape Cod summers before a sellout crowd at the 11th annual Cape Cod Baseball League Hall of Fame induction ceremony Saturday at the Chatham Bars Inn. The Cape Cod Baseball League documentary “Touching the Game: The Story of the Cape Cod Baseball League” will be rebroadcast on WGBH in Boston at 1 p.m. on Nov. 13. An 11th name has been added to the list of baseball luminaries who will receive their plaques at the Cape Cod Baseball League’s Hall of Fame Weekend later this month. CHATHAM ----- Tickets are still available for the 11th Cape Cod Baseball League Hall of Fame Brunch and Induction Ceremony, scheduled for Saturday, Nov. 20, at the Chatham Bars Inn. HYANNIS, Mass. ---- The Cape Cod Baseball League announced this week that the new playoff format expansion from six to eight teams adopted last season will return in 2011 and that playoff games at non-lighted fields will begin at 4 p.m. instead of 3. Next time you’re driving behind a Cape Cod Regional Transit Authority bus, don’t be surprised if you see a banner with the Cape Cod Baseball League logo splashed across the back. The two have teamed up to promote the Cape’s beloved baseball league, where top athletes from around the country come to play each summer. BOURNE ----- The Bourne Braves are looking to pick up where they left off last summer. After a 21-year drought for the franchise and 44 years for the town, the Braves left little doubt that the top was where they belonged after sweeping Cotuit to capture the 2009 Cape League championship. FALMOUTH ----- New lights at Guv Fuller Field has excitement brewing in Falmouth for this summer’s Commodores. After finishing 17-24 last season, 2010 brings new talent, new lights and, hopefully, no rain. ORLEANS -- The Orleans Firebirds have been to the playoffs the past two years. Each time, they have lost to the eventual Cape Cod Baseball League champions. COTUIT -- After reaching the championship series two straight years without capturing the Arnold Mycock Trophy, Cotuit aims to take the next step in 2010. BREWSTER -- Field manager Tom Myers returns for his second summer at the helm of the Brewster Whitecaps with hopes of a healthy and consistent season. BOSTON ----- Tickets are now on sale for the Cape Cod Baseball League, which is returning to Fenway Park for the second straight year, this summer playing its annual All-Star Game on July 28. HYANNIS -- The Cape Cod Baseball League will return to Fenway Park for its annual All Star Game on Wednesday, July 28, 2010. The Boston Red Sox, who hosted this event in 2009 will also include this game on their 1.9 million pocket schedules. 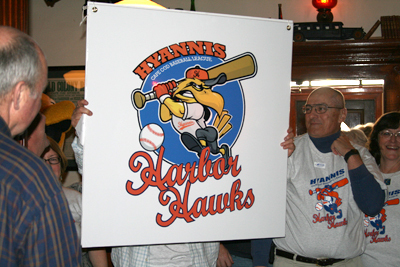 HYANNIS ---- Representatives from the Cotuit Kettleers and the Hyannis Harbor Hawks will be regularly scheduled guests on “Barnstable This Morning,” a local live community access television program. HYANNIS ----- Long-time Cape Cod Baseball League president Judy Walden Scarafile was presented with the prestigious “American Red Cross Leadership Award” on March 4 at the Cape Cod and islands eighth annual “Heroes Breakfast” at the Hyannis Resort and Conference Center. Orleans, MA -- Pitchers and catchers won’t be reporting to Eldredge Field this week. Instead, a team of local contractors will be on hand to begin the long-awaited field improvement work, the Orleans Athletic Association and the Orleans Firebirds Baseball Club announced today. CAPE COD, Mass. 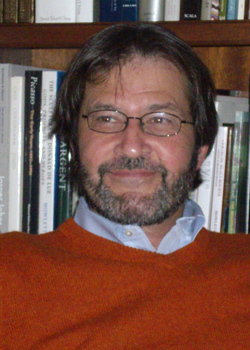 – Veteran columnist and award-winning feature sports writer Rob Duca has been appointed web-site/publications editor and senior writer for the Cape Cod Baseball League.